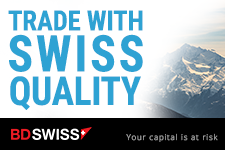 BDSwiss is one of Europe’s leading financial institutions specializing in Forex/CFD. We have made ourselves the first choice for many traders by providing trading services and support for all of our clients It is our policy to provide the best possible trading conditions and software to our clients. Our mission is to provide a platform and up to the minute information that allows our clients be they novice or expert to trade in a safe and secure platform. This has made BDSwiss trusted by traders around the globe. BDSwiss offers various types of trading software and tools that allow individuals and institutional customers to trade Forex, CFDs. BDSwiss has carefully selected our account conditions to perfectly suit the needs of clients of all sizes. Our Education Center, created by industry experts, was designed to provide our customers with all the knowledge needed to make the best possible investment decisions. With regularly updated content for every experience level, there is always something new to learn. Our Education Center will help you develop strategies and techniques, giving you the skills needed to increase your chances of becoming a successful trader. To put your BDSwiss trading account under our Affiliate group you need to send an email to support@bdswiss.com. Find below the sample of the email. Please place my account no. : ............... (put your account number with BDSwiss) under Affiliate fta (Financial Trading Art). *The Rebates are calculated for one round turn lot (100,000 units) for Currencies, (10 oz) for Gold, (100 oz) for Silver, (one bar) for Oil, (one unit) for Cryptocurrencies, and (100 shares) for Equity CFDs, and (one contract) for Equity Index CFDs. **BDSwiss reserves the right not to pay rebates for trades where their clients have traded in and out of a position, either directly or indirectly through hedging, in less than 2 minutes. FSC is the integrated regulator for the financial services sector (other than banking) and global business. The FSC licences ‘Investment Dealers’, not forex brokers. Strong regulation and supervision are essential to ensure stability in the financial system. FSC's objective is to position Mauritius as a jurisdiction of substance with the right balance between regulation and business development. Investor confidence is crucial to the success of the derivatives markets, and the best way to gain investor confidence is to ensure that the highest levels of integrity are demanded of all market participants and intermediaries. National Futures Association (NFA) is the industrywide, self-regulatory organization for the U.S. derivatives industry. NFA strives every day to safeguard market integrity, protect investors and help our Members meet their regulatory responsibilities.